We often come to Ware from Enfield as we like the old buildings, individual shops and the history and general character of the area; it’s not homogenised like most other places. We enjoy the walks along the river and the Age Concern Antiques and Collectors Fair. We’re great users of the ‘Freedom Pass’ (because we live in Greater London) and can get the 310 or 311 bus from Waltham Cross which takes about 40 minutes. We are quite interested in the history of Ware and we have heard about the Great Bed of Ware, which we understand was created by Queen Elizabeth I and travelled with her during different visits to other places. We also like Fanhams Hall where you can get great food and there is a lovely ambience and is in a beautiful setting. They’ve blended the old and new quite well. 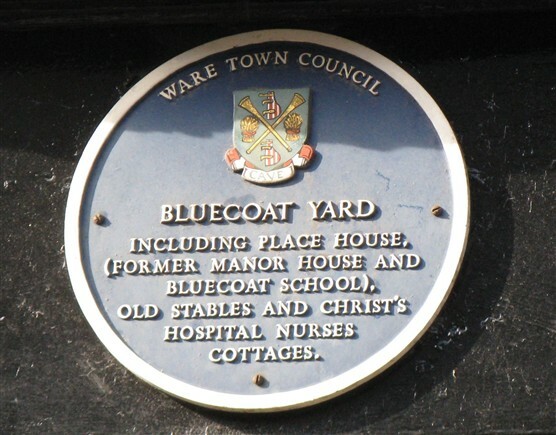 Blue Coats Yard in Ware is older than the one in Hertford but not so well known. There is an old chandalier made of wood and a Blue Coats statue in the corner, and a vaulted ceiling. We believe you can hire it out for events. We’ve heard about the new supermarket that may be developed in Ware and we are worried that it will take away trading from the smaller shops in Ware and it may develop into a ghost town. 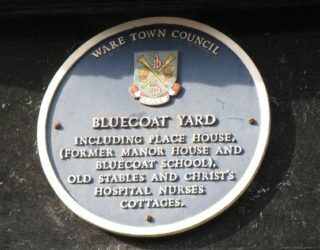 The Great Bed of Ware was not created by Queen Elizabeth and did not travel with her. 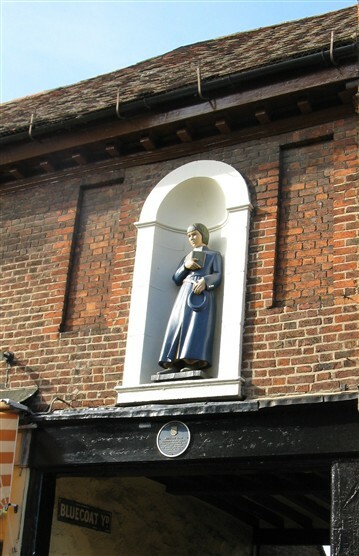 Check out with Ware Museum for details and list of the 5 inns where it was to be found over its peripatetic career before going to Rye Park and the V&A (and of course its year in Ware Museum).